Free Shipping Included! 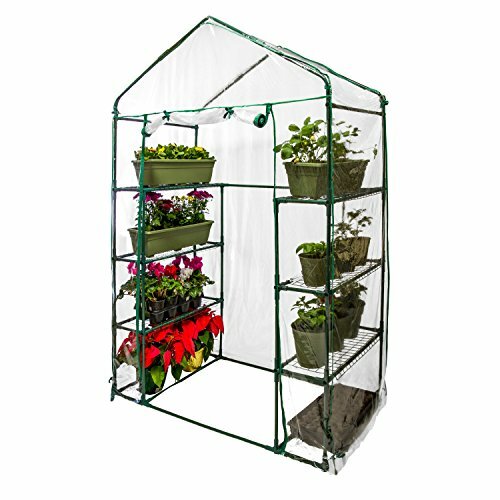 U.S. Garden Supply Premium Walk-In 4 Tier Greenhouse, 56'' Wide x 29'' Deep x 77'' High - Grow Seeds & Seedlings, Tend Potted Plants by U.S. Garden Supply at The Mirror Project. MPN: GH030. Hurry! Limited time offer. Offer valid only while supplies last. 6 steel wire shelves for holding seed trays, pots and tools. Roll-up front panel with double zippers allow easy access to plants and seeds. If you have any questions about this product by U.S. Garden Supply, contact us by completing and submitting the form below. If you are looking for a specif part number, please include it with your message.